White House Ruin of Canyon De Chelly National Monument within the Navajo Reservation is accessible via the only public trail into the canyon. We descended the cliff on a summer evening 2008 to acquire this image at optimal lighting. 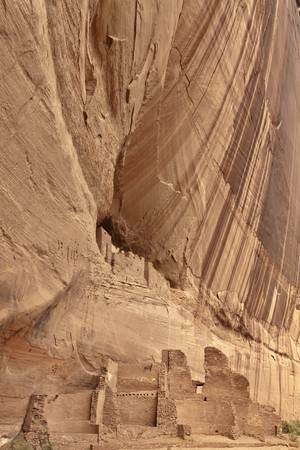 At one time, the buildings were painted a bright white, the pigment has long ago faded, the ruins now blend with the sandstone from which they rose. There is a variation of this image in my Memory Dreams Reflections gallery on ImageKind.